Moscow, Russia – The U.S. Ski Team aerials athletes took their last jumps of the World Cup season on Saturday night in front of thousands of fans in Moscow. China’s Zhou Hang took the win for the men, followed by Maxim Gustik of Belarus in second and Russia’s Maxim Burov in third. Australia’s Lydia Lassila landed her third win of the season to top the women’s field, followed by China’s Xu Mengtao in second and Lassila’s teammate Laura Peel in third. Jon Lillis, of Rochester, N.Y., earned the top finish for the U.S. team, landing just off the podium in fourth. Lillis and teammate Mac Bohonnon, of Madison, Conn., jumped strong in the qualifying and final rounds to advance through to the super finals. After scoring a 121.24 on his full, double full, full in finals, Lillis was shooting for the podium. But he was unable to land clean on his super final jump, a full, full, double full. Lillis’ fourth was his third top-five finish of the season. Bohonnon, who suffered a hard-hitting crash in super finals, wrapped up his season with a sixth-place finish. Lillis’ younger brother Chris was 10th. On the women’s side, Kiley McKinnon, of Madison, Conn., and Virginia’s Ashley Caldwell just missed out on making the super final rounds, finishing seventh and eighth, respectively. 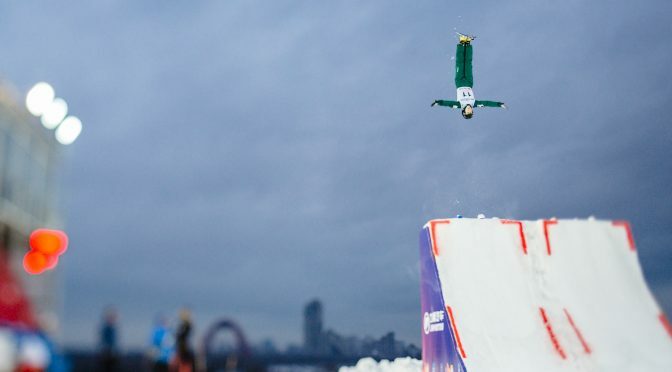 The men’s aerials World Cup title was awarded to China’s Qi Guangpu, who secured the title at last weekend’s competition in Belarus. 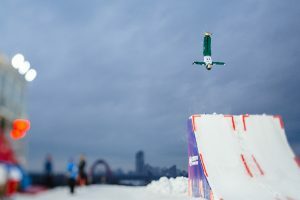 With four top-five finishes, including two podiums, Bohonnon was able to finish the season ranked second in the World Cup standings. Lillis and Alex Bowen, of Springville, N.Y., finished the season ranked eighth and 10th, respectively. Coming into Moscow, the women’s aerials title was hotly contested between Australia’s Danielle Scott and Mengtao. With her second-place finish, Mengtao was able to secure the crystal globe. McKinnon and Caldwell finished out the season ranked ninth and 10th, respectively. Chris Lillis’ five top-10 finishes this season landed him the 2017 FIS Rookie of the Year award. The U.S. team also finished second in the Nation’s Cup standings.